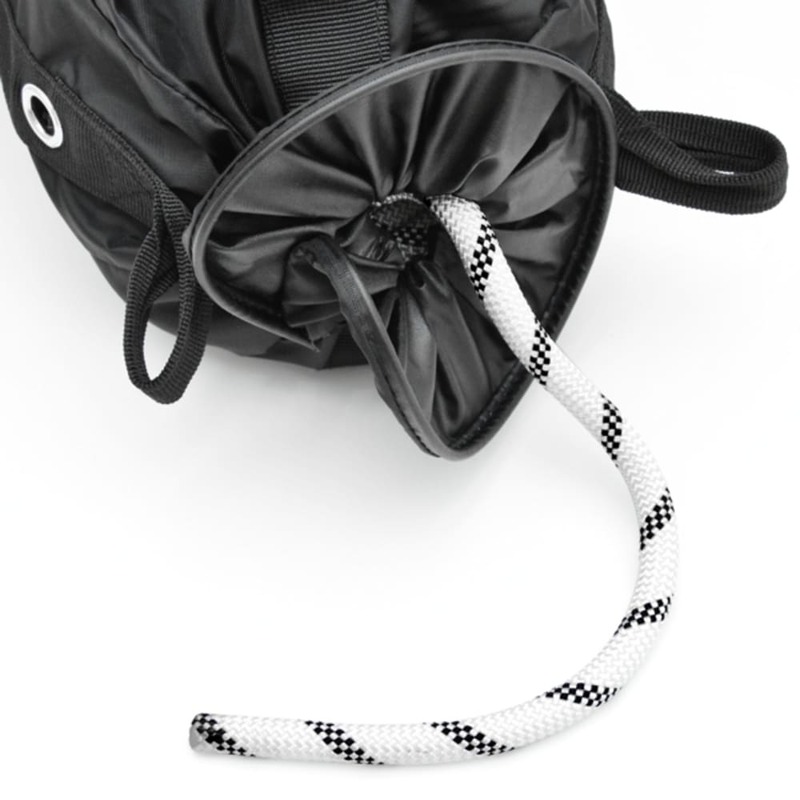 Ultra-light rope bag. 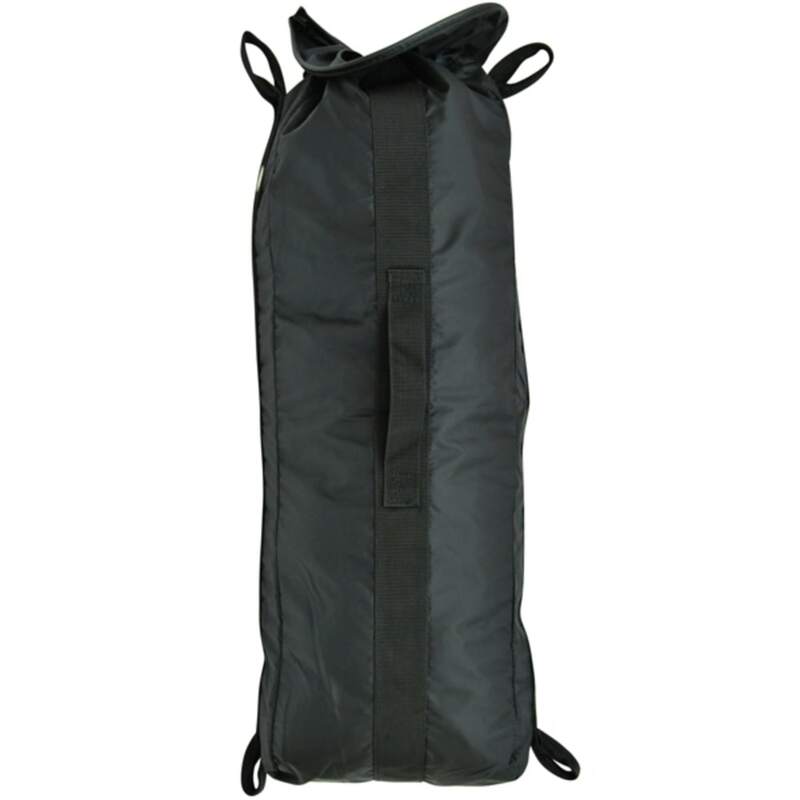 It can be used alone or as an accessory bag to fit into a bigger backpack. 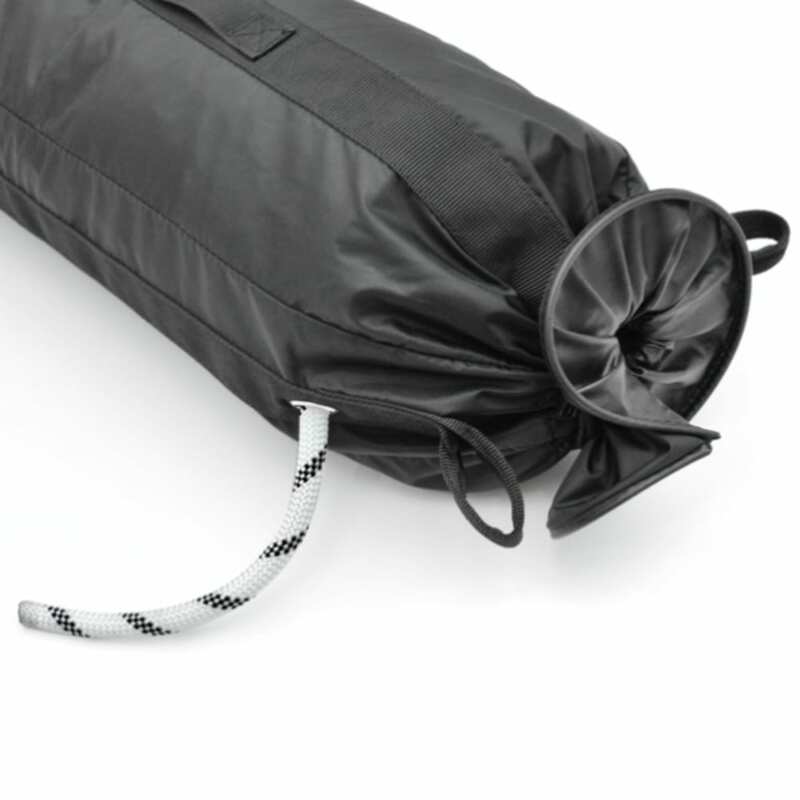 It can hold up to 60m of 11mm diameter rope. 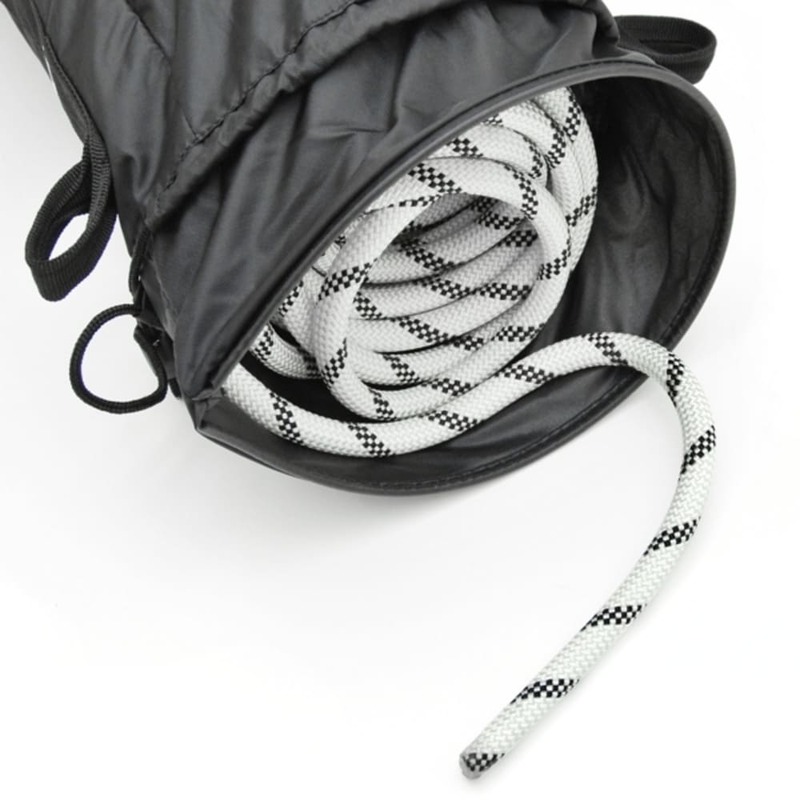 Equipped with handy loops for tying-in the rope ends. 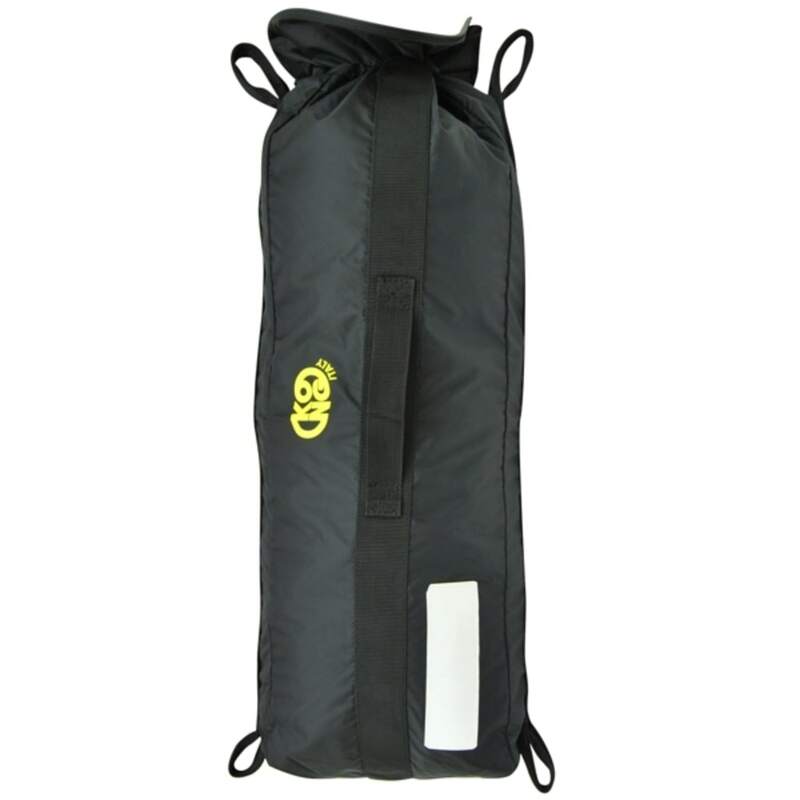 The upper opening features a rigid cable that holds it in the open position, making it easy to feed rope in and out of the bag. Writeable label for quick owner identification.